From November 30 to December 11 2015 the United Nations Conference on Climate Change was held in Paris, France. As a result, 195 countries have adopted what is now known as the COP21 Paris agreement on global climate. This roundtable will discuss, from different perspectives, the terms of the agreement, the challenges for its implementation and its expected impact for environmental protection. 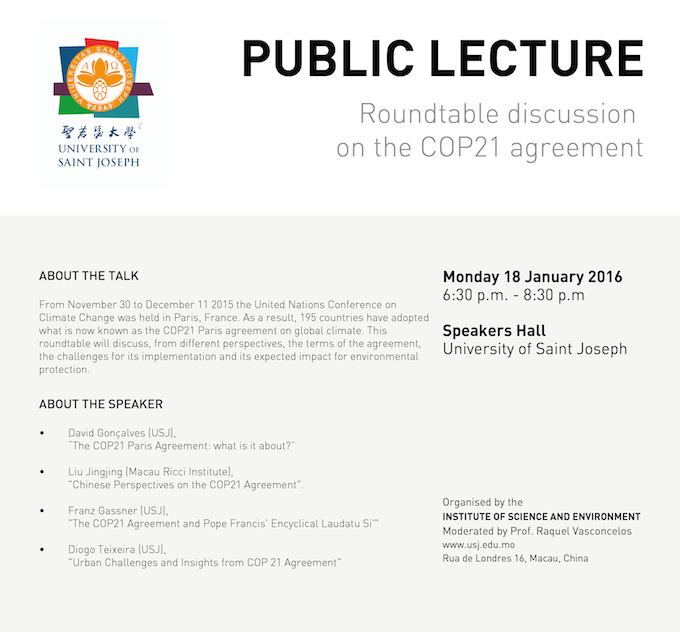 Liu Jingjing (Macau Ricci Institute), “Chinese Perspectives on the COP21 Agreement”.